Things are changing quickly and there are encouraging articles every day about the shift towards more plant-based options, eating less meat, and awareness of the effects of our diet on health, climate change and animals. The dairy industry may be the first place we see the effects of these changes. 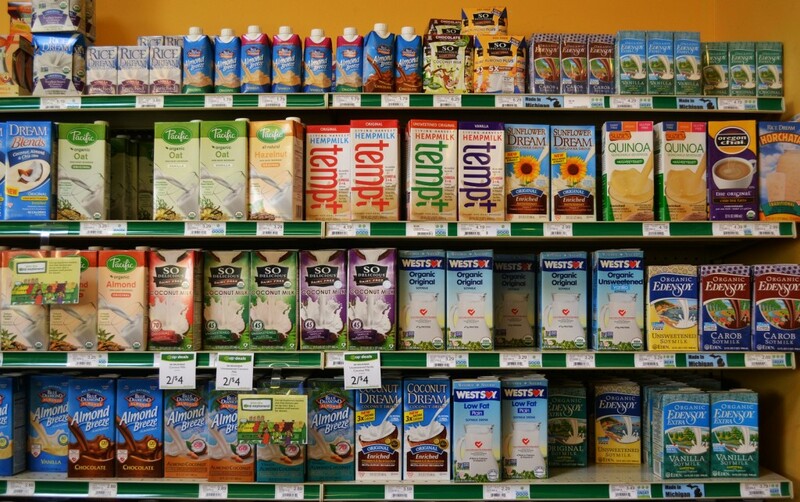 In our city’s local grocery stores there are so many alternatives non-dairy milks offered. Soy, almond, coconut, rice, cashew, hemp, pistachio, all these new options are on the shelves as an option to cow’s milk. Part of the rise of these milks may be that there are many lactose-intolerant people, in addition to vegans. But, in general, more people are aware of some of the negative aspects of dairy on their health. And can it also be that people are caring more about the treatment of animals? Milk tends to be a product that mostly children drink by the glassful. Adults use it in cereal, recipes or in their coffee, but rarely drink it on it’s own. I believe that makes it easier to be replaced than cheese. I’m a little embarrassed to admit this publicly, but I did not realize until about 4 years ago that cows had to be forcibly impregnated every year or two, and that their male calves were taken away from them and killed early on as veal or slaughtered for beef, while the females became dairy cows as well separated from their mothers. I don’t know that I ever even gave it any thought, or just imagined that cows could just keep producing milk indefinitely on their own. While I am not a country girl, I understand that there may be some exceptions and better treatment on some farms, but not for the large farms. The dairy crisis is a complex situation of which I can only skim the surface, with China stockpiling milk from New Zealand adding to the situation. It is terrible for farmers and cows, with a 6 week waiting list for cows that are being sold for slaughter due to farms going bankrupt. In Australia right now, there are protests taking place because the smaller dairy farmers are being undercut by cheaper factory farm milk. They are asking consumers to drink more milk and also pay the extra dollar to make up for the price slashing. While I think the factory farms are the larger issue in this case, it is time for the meat and dairy industry to prepare for changes in the market and not depend on consumer’s good will. I don’t see this situation improving for them. 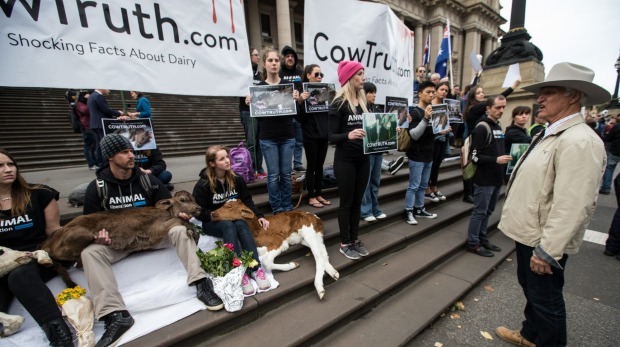 In the midst of this personal and financial turmoil, Animal Rights protestors were also at the protest in Australia cradling dead calves, I felt a bit conflicted. How horrible to have dead animals as a spectacle at this event. But, when you think about how the dairy farmers are protesting against the government for undercutting their profits, the cow is viewed simply as a product. Now we are forced to view them as victims also. Then I thought about how it is awful to see these dead animals in public, yet we are okay with viewing cow’s bodies cut up without skin. How strange is that? We don’t want to view them as animals, we only want to see them as products. This catastrophe for dairy farmers is not likely to improve soon, this is the way of the future, and the writing is on the wall. We have no option but to bear the economic consequences in order to fix our system. And that applies to the meat industry as well. There is no price that we cannot pay that is worse than our future resources if we don’t adapt. In order to sustain a growing population, the trend away from animal products will continue. Earlier this month I posted about being hosted by non-vegans. This post is about being the host. I’ve been really slacking lately on having people over. In the first few years of eating plant-based, all my standard “go to” recipes no longer could be used. My previously popular seafood stew was always so delicious and easy, but definitely not going to be in the new rotation. Even brunches were a challenge at first without my hash brown/sausage/egg/cottage cheese casserole. In the beginning my cooking skills weren’t the best, and I am not sure I even represented vegan meals very well. I particularly remember a lasagne that used tofu instead of ricotta that I made for the very first time when we had company… it was not that great. Now, I’ve had several years practice, and have found that not emulating meat, or making something dependent on animal products is usually best. 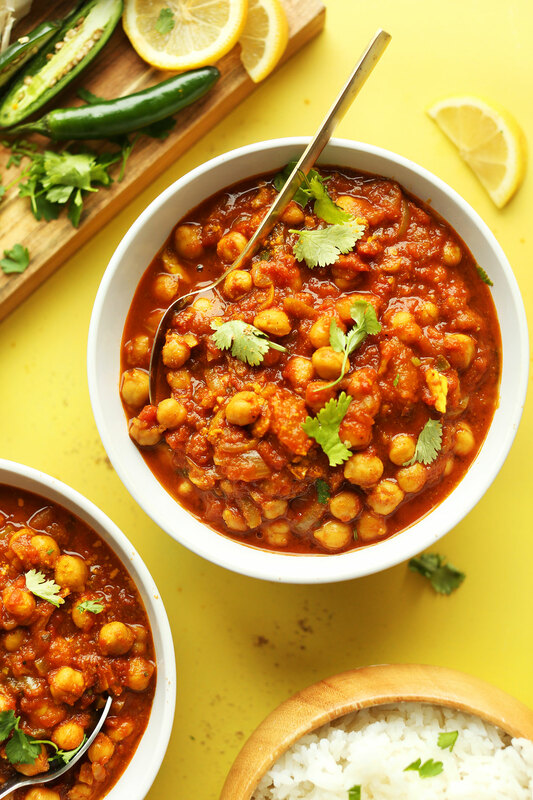 There are plenty of great options found globally that are naturally vegan- such as Lebanese, Ethiopian, Thai, Vietnamese and of course Indian. Last night we invited around 24 people at our house for an Indian dinner party. It was a big deal for me since I am intimidated apparently by inviting more than one or two families to our house at a time. I wanted to make it a vegan meal, but also appealing to everyone coming since none of them are vegan. I chose an Indian theme, since that is my personal favorite. Also, because I am fortunate to know a talented Indian friend who loves to cook. Everyone replied so enthusiastically to the idea, it was very gratifying. Most people brought their own dish: chana masala, red lentil dal, beets, and mini samosas. My friend and I had made; an Indian stew using white sweet potatoes, asparagus, carrots and coconut milk; a rice pulau with a delicious creamy cashew base, walnuts, raisins, and other fruits and vegetables; and my favorite: aloo palak. Similar to palak paneer, but used baked baby potatoes instead of paneer, and an almond base instead of cream. Everything was so delicious, very flavorful, and healthy (so much garlic, ginger, onion and vegetables). I’m not sure I am confident enough to cook these dishes on my own yet, although I plan to experiment on my family to see if I can come close. The secret ingredients, besides an experienced native chef, were all the spices. I am very excited about building my skills around this naturally vegetarian (easily made vegan) and delicious cuisine. It uses so many vegetables, and even the kids love it. If you know me, and wish you had been part of this event, let me know so that I can invite you to the next one! I’m not going to share Rajesh’s secret recipes here (sorry)… but, I will post this delicious Chana Masala recipe from Minimalist Baker that my friend brought and was very popular. I also recommend Holy Cow Vegan, featuring many authentic Indian dishes. 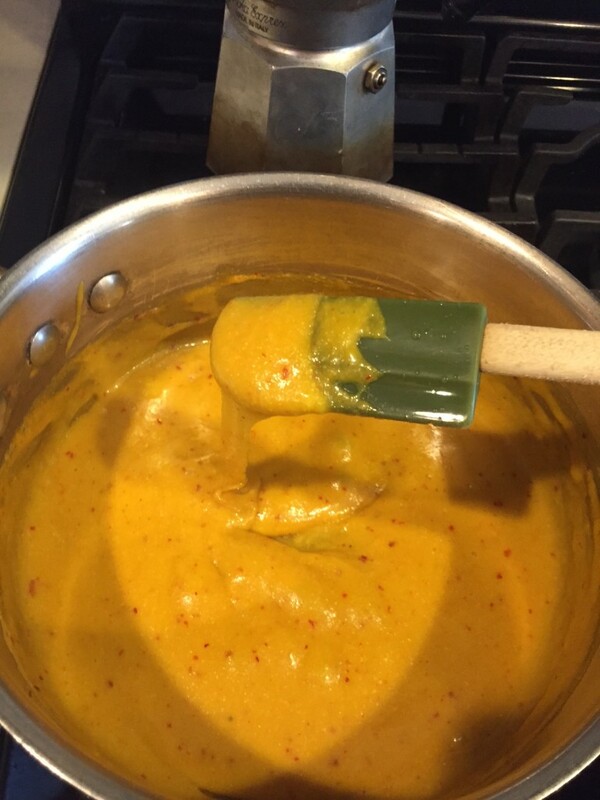 Please let me know your best recipes that everyone loves! My husband resisted a bit when we cut out eggs and milk, mostly because he needs them to make pancakes for the kids. In a mixing bowl, whisk together dry ingredients. In another bowl, whisk together the milk, oil, maple syrup and vanilla. Pour the liquid mixture into the dry mixture. Stir until combined, so only a few lumps remain (don’t over-mix or your pancakes will be tough!). If you’d like to mix in any totally optional add-ins (like chocolate chips or blueberries), gently fold them in now. Let the batter rest for 5 minutes so your pancakes will be nice and fluffy. Meanwhile, heat a heavy cast iron skillet or nonstick griddle over medium-low heat. If necessary, lightly oil the cooking surface with additional oil or cooking spray. 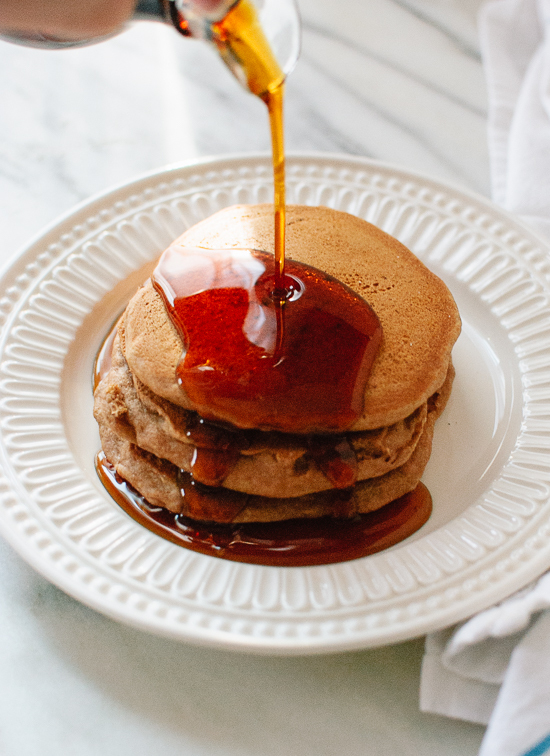 Using about ¼-cup of batter at a time, cook for 2 to 3 minutes until small bubbles form on the surface of the pancakes, and flip. Cook on the opposite sides for 1 to 2 minutes, or until golden brown. Repeat with the remaining batter, adding more oil as needed. You may need to adjust the heat up or down at this point. Serve the pancakes immediately. I can’t afford to buy _______! How many times do we hear and say that we can’t afford to buy organic, healthy, sustainable, or whatever food? You can buy large, cheap quantities of food usually for less money than their healthier counterparts. I’d like to challenge that idea by looking at it in this way- you can buy the better, smaller, more delicious version of food that you want if you eat less of it, and don’t waste it. It is ridiculous how much food is wasted in our homes, not to mention the almost 30% before it even gets to our grocery stores because it is not cosmetically perfect. We sometimes forget we even have it, or don’t use it in time and it gets tossed out. That money for the cheap stuff you throw out, could have been put towards that more expensive food you wanted. I am not even talking about the environmental and poverty aspects in this particular post, which are huge factors. Most people in wealthier countries eat too much anyway. I’ll focus on USA for now, where more than two-thirds (68.8 percent) of adults are considered to be overweight or obese. I’m getting to a grassroots level of what we as consumers can do to change the world. We can vote with our money for the healthiest foods for ourselves, the animals and the environment. Although I don’t eat meat, suppose you do. 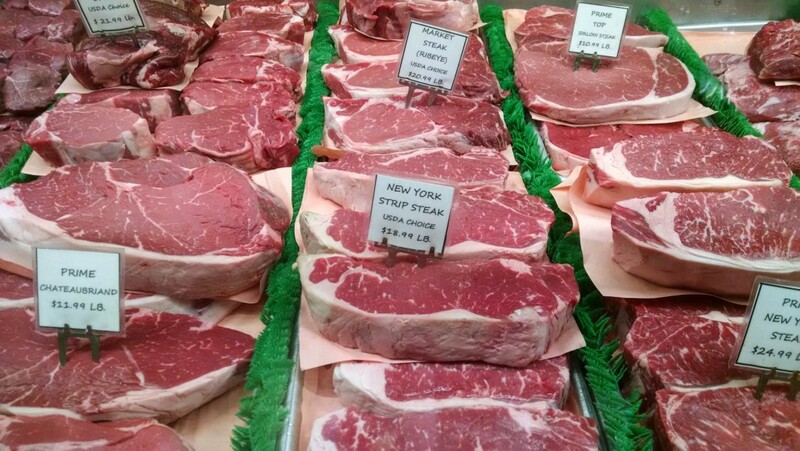 I think with the meat and dairy industries, all price savings come with a huge cost elsewhere. I know we all can agree this is not what we want to support. There are costs to everything we consume, I’m just saying we can do A LOT better. For our family, I have made it a personal challenge to see what creative way I can use what I have on hand in order to extend the time between grocery store visits. By having a lot of rice, beans, lentils, pasta, canned veg and non-perishables in the pantry, my vegetables can be used in all sorts of ways. Stir fry, roasted, soups, curries, and more. Sometimes it looks like our refrigerator is very bare- and with two big kids with huge appetites, that is hard to avoid! However, if your refrigerator is so full that you cannot locate your leftovers, or even see what is in the back, you will end up wasting food. I’m lucky enough to be able to go to the grocery store and replenish my supply easily, so I don’t feel like I need to stockpile perishable items. The best way to use everything, is to follow a meal plan, so you know what you need exactly and you know how you will use it. I used MealMentor. Or, get really ambitious and plan for the whole month and freeze things. If you aren’t into planning or like to be creative, try making it a game- play Top Chef: make it a culinary challenge to produce a meal from random ingredients. Hint: the key is having condiments and spices. If I have lemon and garlic, I can usually come up with something! 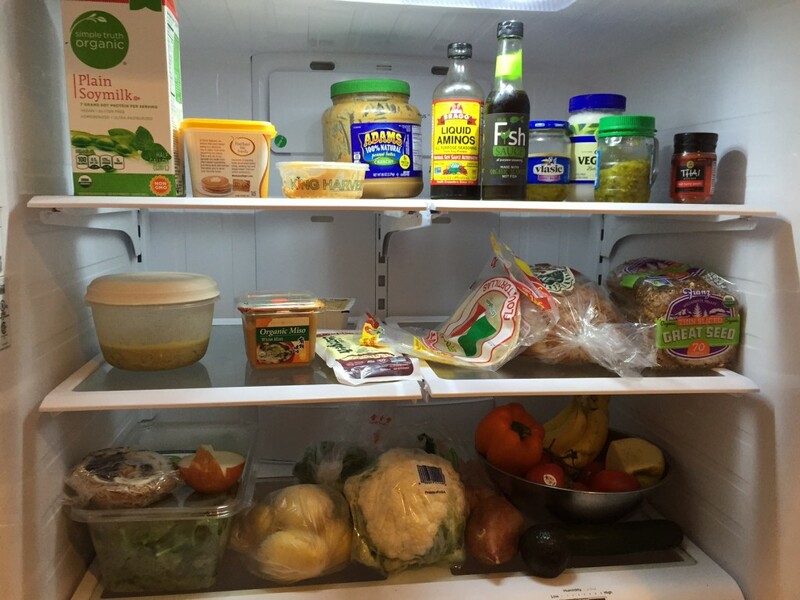 Just for fun, I took a photo of my refrigerator contents (shown above). It looked really bare with milk and some of the condiments on the side, so I added the bowl of fruit that usually sits on the table, and took the vegetables out of the drawers, a bit staged. I usually don’t have two loaves of fresh bread, but have one in the freezer. It may not look like much for a family of four, but I can see what I have, and am going to make sure I use it all. Animal Rights- what does that mean to you? After hearing the Animal Rights Conference would be on the West Coast in July, I thought about going. Then, I thought about how I am vegan not only for the animals, but also for the environment and people. What would the sessions be like? I wasn’t sure if I fit the mold of activist that attends these types of things. I am way more concerned about big issues being addressed first, than every single smaller issue if that makes sense. I see the connection between how we think of animals in general as needing to shift, but worry that we lose people if we talk more about horseback riding than factory farming and ocean depletion. I asked a fellow pragmatic vegan advocate, and he told me it was not too radical. And, then met Seth Tibbott, Tofurky founder who encouraged me to go. So, after missing the early bird deadline I bought my airline ticket and will be headed back to LA in July… even though I swore I’d never return to the vicinity after last year’s heat wave in October. I don’t know what to expect yet, but I am excited to be meeting with people I’ve met online coming from Europe to attend, as well as all the other people committed to making sure animals have a voice. Animal Rights is an interesting topic, definitely from a philosophical standpoint. I know most people agree we should not torture and abuse animals, even though we have designated some animals as being exempt from this. Is it based on cuteness, intelligence, endangered status or just cultural taste preferences? If you are interested in this topic, Melanie Joy has written an exceptional book, “Why we love dogs, eat pigs, and wear cows” or you can watch her TED talk here. It is a huge shift to actually rethink how we were taught by our society and culture to consider animals as our property and to use however we wish. But, we have had changes in history on how we’ve thought of slaves, women, Jewish people, and other groups. You may not consider this an equal comparison, but similar rationalizations have been used. I am constantly listening to other perspectives from small dairy farmers to relatives, take a moment and think about if there is some truth to the idea of speciesism. If you love and care about an animal- a dog or cat perhaps… why are other animals not deserving of protection? I used to tell my child (and myself), that it was okay to eat animals because we bred them for that purpose. Why is that okay to breed them only to live a very short, miserable life? See lifespan. And like the golden rule found in most religions, “do unto others as you would have done unto you”. What if the roles were reversed? Weird, right? If these ideas are not something you want to consider, the environmental aspect still covers us all. The animals are linked to us, and keeping the Earth habitable for as long as possible is in all of our best interests. I had been thinking about a trip to Arizona for over a year, as my grandmother is getting close to 90 and refuses to travel, and I have other relatives in the area who I really wanted to visit. After finally booking a flight, I realized that I haven’t been in that particular situation with people outside my parents and sister, where I would be staying in someone’s home, but having special diet requirements. Do you say, “please don’t worry about accommodating my vegan lifestyle”– therefore implying that they possibly should be worried? Believe me, it is not enjoyable to feel like you are creating any type of difficulty for anyone. My aunt said it would be no problem, and she was going to try out new recipes. I later found out she even tried being vegetarian for one week. We arrived and found she had purchased Costco-sized vegan treats like hummus, pita chips, sweet potato fries, chocolate covered dried mango, dried nuts and fruit, and rice ramen. She also made me my own kale/white bean soup to take to my grandma’s the next day. So much for not being any extra work! She went out of her way to make sure I had delicious vegetable pastas and grilled vegetables to eat at every meal, and it was much appreciated. I tried finding a vegan restaurant in the area for one meal we ate out, but there really weren’t many options in the retirement suburbs outside of Phoenix. 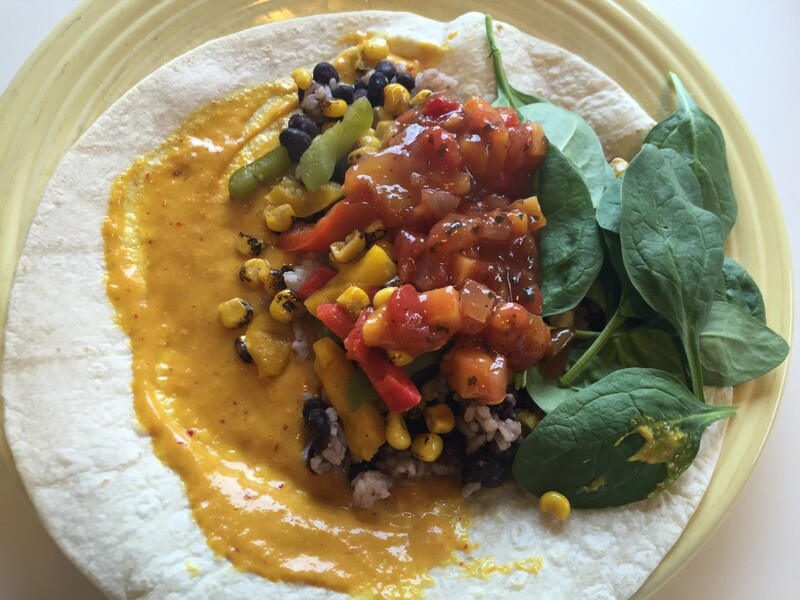 There were veg-friendly options like Chipotle or ethnic restaurants, just not the plethora we have in Portland. My grandmother lives in a retirement home and is quite content to eat just two meals a day at the restaurant in her building. Her refrigerator is stocked with some light beer, and her freezer with ice cream, and that is about it. She says she hates all vegetables, and doesn’t understand or want to know what veganism is about. Besides grandma, I felt like there were some good open discussions with others. I left with a better understanding of what challenges people face who are considering making a change. Listening more than talking is really important. Finding common ground, and figuring out practical concerns are key. Most people who did have an interest in talking about it, actually are open to the idea. They understand that there are environmental concerns and animals treated inhumanely. It just seems very difficult to switch up everything they know about cooking and planning meals. For example, that cooked vegetables are harder to freeze or keep as leftovers than meat. People struggle with trying to make food that their families will eat that is not too difficult, expensive and tastes good. It has to be a lot easier. I’m pretty convinced we could reach a better place in the world if the vegans would really listen to what the omnivores are saying, and vice versa. Although it can be hard to go against the flow, we can’t make changes and have conversations unless we do stand for a big change. Beyond the great learning experience for me, and hopefully planting positive seeds, I still don’t know what advice to offer in this type of situation. Have an awesome aunt who will cater to you? I’m just lucky in that area. What are your ideas on how to make that work? How to make sure people aren’t stressed in advance? Comment with ideas for your best meals to make in this situation. I don’t think about wanting, or eating meat anymore. Could not care less about milk. Eggs kind of gross me out. But cheese, that was probably the hardest hurdle for me to overcome when eating a plant-based diet. Usually, I just need to think of the baby calves who are not getting their mother’s milk, in order to stay strong. But I can’t deny that I used to love eating cheese. I’ve given up on buying the standard soy vegan cheeses at the grocery store, most of them taste like plastic or wood a little. It’s just strange. Although recently the high-end nut-based ones are pretty delicious, but not cheap! Michikyo’s cheese and Vtopian cheese in particular as a semi hard French-style. Heidi Ho makes some yummy cheeses too. I can skip cheese on most things like tacos, and I can make a decent mac n’ cheese or cauliflower alfredo myself. The one dish that really benefits the most from cheese is pizza. 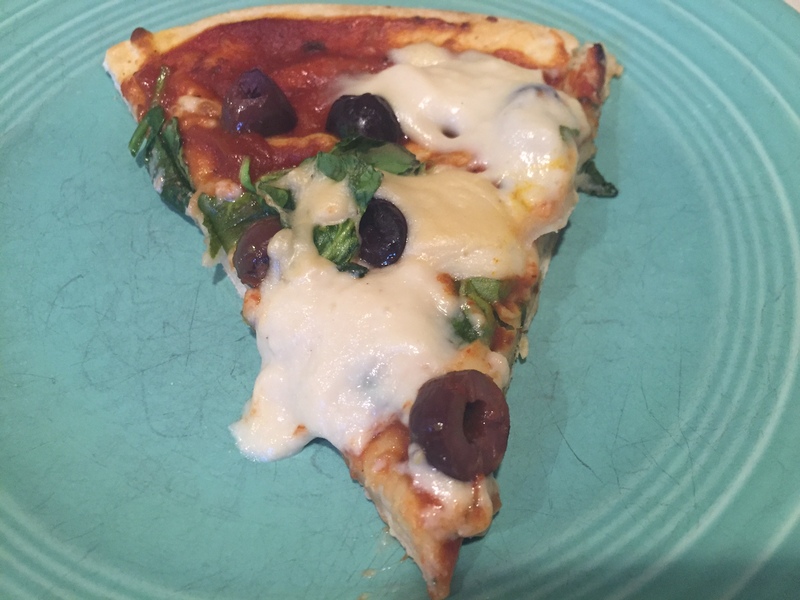 I’ve tried pizzas with different bases like butternut, spinach, or pesto, and that works pretty well. But, let’s face it they are just a different kind of delicacy. In my search for making my own cheese I have two recipes by the same author. They are similar and have almost a velveeta quality (which I secretly love). Works perfectly on pizza or with nachos. I think it is best fresh and warm since it can gel up a bit as it cools. Soak the cashews for four hours or overnight. Or if you are impatient like me, just boil them for 10 minutes until soft. Drain before using. Add the cashews the hot water, and all the remaining ingredients to a blender, and blend until smooth. It will be very watery. Pour into a small sauce pan and heat over medium high heat, while stirring. If you don’t have a high powered blender, you may want to pour the liquid through a fine mesh strainer or cheese cloth into the pot, to remove any cashew bits that didn’t grind up. This will ensure a smooth cheese texture. As you stir it will start forming clumps, and then all of a sudden it will become a cheesy gooey mass of yumminess. This takes about 5 minutes. Continue to cook and stir for an additional 2 minutes to make sure it has firmed up completely. Use for anything you like! Make a big plate of nachos, load up a baked potato, make a grilled cheese sandwich, a vegan cheese burger, stir into pasta for a quick mac and cheese, or whatever your heart desires. Store in an airtight container in the fridge. Best of all, these are easy to make, they take 5 minutes and I usually have all the ingredients on hand. And they are healthier than cheese. 3 Tablespoons + 2 teaspoons Tapioca Starch (also known as Tapioca Flour). I have used corn starch but tapioca is better. First boil or soak the cashews. To Soak the Cashews: cover with water and soak for 4 hours or overnight. To Boil the Cashews: Cover with water and bring to a boil for 10 to 15 minutes until tender. Drain the cashews and add them along with the water, and all the remaining ingredients to a blender, and blend until smooth. It will be very watery. Pour into a small sauce pan and heat over medium high heat, while stirring. If you don’t have a high powered blender, you may want to pour the liquid through a fine mesh strainer or cheese cloth into the pot, to remove any cashew bits that didn’t grind up. This will ensure a smooth cheese texture. As you stir it will start forming clumps, and then all of a sudden it will become a cheesy gooey mass of yumminess. This takes about 5 minutes. Continue to cook and stir for an additional 2 minutes to make sure it has firmed up completely. Use for anything you like! Scoop up with tortilla chips, dollop onto pizza before baking, make a grilled cheese sandwich, or whatever your hearts desire. Store in an airtight container in the fridge. *If you want to return the cold mozzarella back to dipping consistency, reheat over medium heat while stirring constantly so it doesn’t burn. Once it is hot and bubbling it might have thickened up too much. 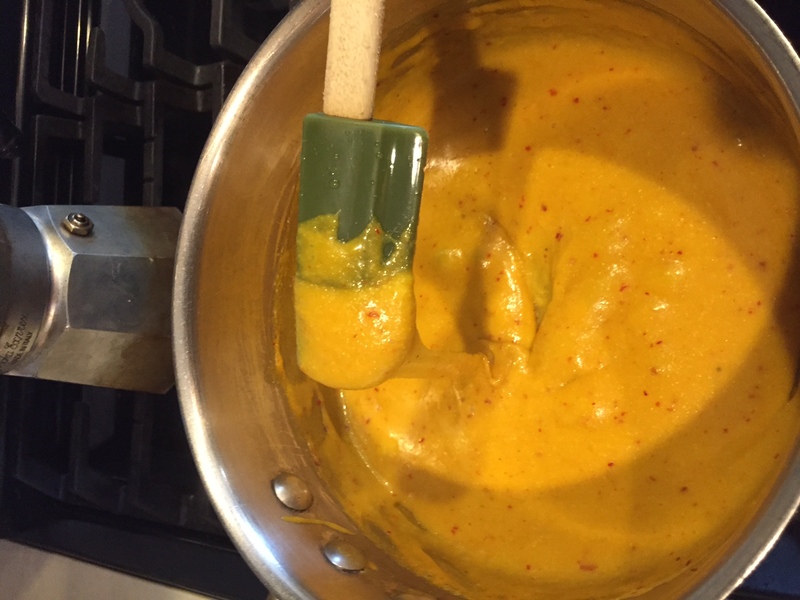 You can thin it out by adding a tablespoon of water at a time, stirring it in until desired consistency is reached. Take a look at It Doesn’t Taste Like Chicken‘s delightful website for more inspiration and reasons to kick the dairy. Please let me know if you try one of her other 16 recipes!